Same-store sales grew at 4 percent, the best performance for Nordstrom since 2015. Nordstrom has been promising this year that a series of “generational” investments in new markets and technologies was about to pay off, and it has now delivered. The Seattle retailer surpassed its own forecasts, posting a profit of $162 million or 95 cents a share, up about 46 percent, on $4.07 billion in sales, up 7.3 percent. Executives attributed the performance to strength across the board for the quarter ended Aug. 4. The result easily surpassed the 84 cents a share consensus estimate of Wall Street analysts and prompted executives to increase their expectations for the year, raising their profit outlook slightly to a range of $3.50 to $3.65 a share. Comparable sales, the closely-watched indicator of growth from existing stores and online channels, grew 4 percent in the quarter compared to the same period a year earlier, the best performance since 2015. Other retailers, including Macy’s and Walmart, also reported strong quarterly results this week, perhaps signaling an upturn in an industry scrambling to adjust to an ongoing transition in shopping habits. Nordstrom shares, which were up slightly during regular trading Thursday, spiked more than 12 percent in early after-hours trading on the favorable earnings report, and later were trading at $56.83. Several members of the Nordstrom family earlier this year floated a price of $50 a share to take the company private. The price was dismissed by the company’s board of directors as inadequate. Digital sales remain the fastest-growing area for Nordstrom, increasing 23 percent in the second quarter, and now account for more than a third of total sales. Nordstrom has invested heavily over the last eight years in marketing, technology and improvements to its supply chain to enable this growth. It still has some kinks to work out, however. On the first day of its vaunted Anniversary Sale – which rivals only the holiday season for importance on the retailer’s calendar – Nordstrom saw 10 times its average daily volume of online traffic, overwhelming its systems. “While our team resolved this, we know we disappointed many of our customers,” co-president Blake Nordstrom said Thursday. 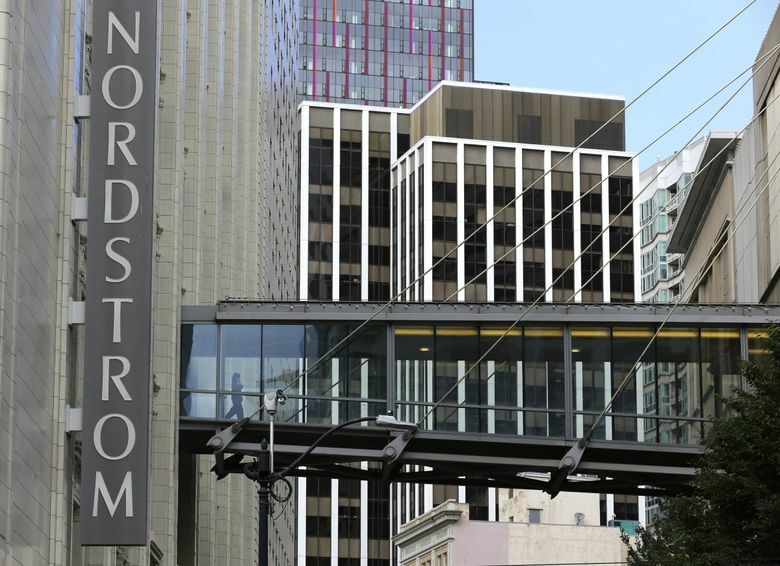 The company gave shoppers extra rewards points to make amends, which cost Nordstrom about $12 million in gross profit, though that’s expected to balance out later in the year when customers redeem the points. The trend is playing out for clothing designers, too, who complain that shipping too early in the season has become difficult, he added. Timing of the anniversary sale also muddied the waters of the company’s earnings report. Part of the quarter’s sales growth was attributed to an accounting change that lumped more revenue from that event into the second quarter. That benefit, to the tune of about 1 percent of sales, is expected to reverse in the third quarter. “We remain confident that 2018 is an inflection point for long-term, profitable growth,” said chief financial officer Anne Bramman.